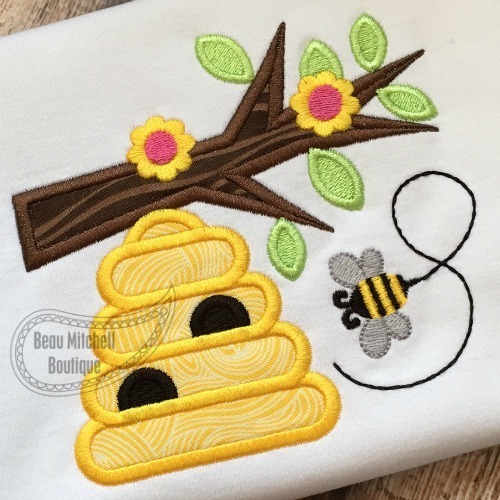 Beehive Branch Applique - 3 Sizes! This is a 2 color applique. 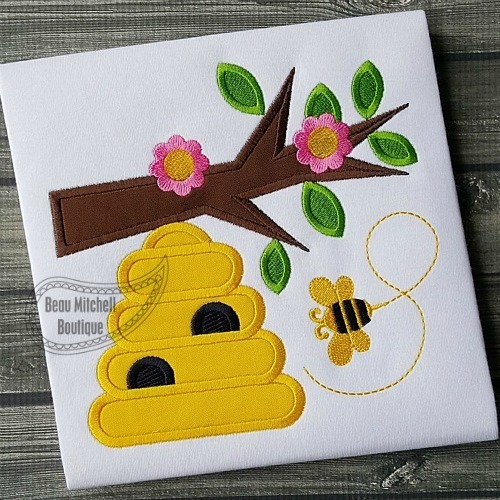 Bumble Bee Applique - 3 Sizes! Spring Is In The Air Applique - 4 Sizes! Butterfly 14 Applique - 5 Sizes! Butterfly 16 Applique - 4 Sizes! Finish Size 5.00" X 4.88"
Finish Size 6.38" x 6.24"
Finish Size 7.06" x 6.92"